Hi, all. Guess what! It's Wicked English Teacher Wednesday! I know!! I'm excited too!! 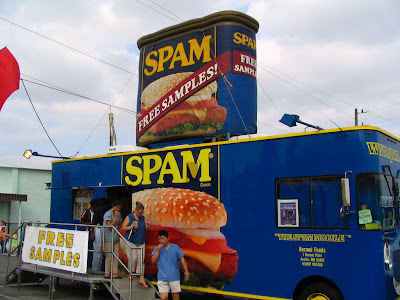 Today I want to take a look at spam. 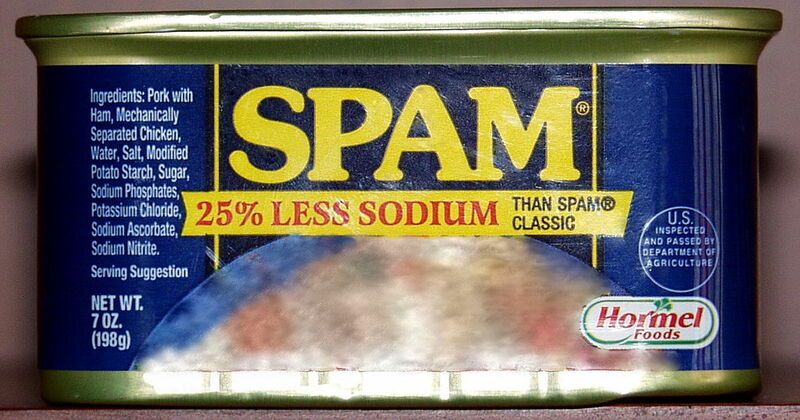 Not the canned "meat" product, but the unwanted and ubiquitous electronic communications we all receive all the time. 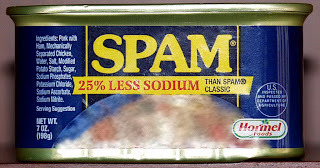 Now most all of you are familiar with spam in your emails. My non-blogging readers may be unaware of blog spam. Obviously, I haven't included the spammers actual link. A "comment" like this is meant only to publish a link to the spammer's website. The website is almost always selling something. Fortunately we have filters that keep those comments from ever reaching the eyes of our readers. 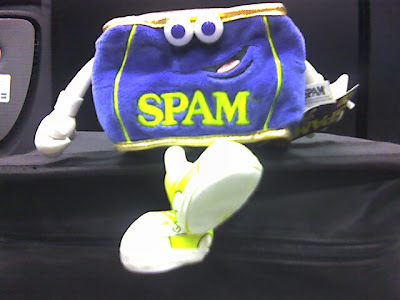 As I said, I heard about blog spam from other writers, but I wasn't getting any of my own. I kind of felt left out, unloved even. Why didn't anyone think enough of my blog to send me spam? Well, friends, I am happy to report that I have arrived! I am now an official blogger receiving official blog spam! I am just so happy I could do a little spammy happy dance. But, the Wicked English Teacher is not happy. (It is Wicked English Teacher Wednesday, y'all. Remember?) You see, most of this spam is very poorly written. If you're going to spam the Wicked English Teacher, you've got to proofread. If that doesn't help, hire yourself a better translator because a whole lot of this stuff sounds like it came straight from Google Translate. On the other hand, there are some that look and sound like they were written by one of my eighth graders. First, this person clearly didn't read the post on which he/she commented.The "subject that has been discussed for ages" is that very controversial topic, adverbs. But what really gets the Wicked English Teacher's petticoat in a ruffle is that incorrect use of "its". As I'm sure you all know, "its" without an apostrophe is a possessive pronoun. We use it the same way we use the pronouns his or hers. This passage calls for a contraction of "it is." That means we need the apostrophe: it's. Another problem with this spammer's writing is the run on sentence. It should read, "You know a whole lot. It's almost tough to argue with you..." Almost? I think not. I think it would be impossible for this person to stand up to the Wicked English Teacher in an argument. And what's with that random question mark in the parentheses? Capitalize your name, Kavin. Capitalize the pronoun I. Use an apostrophe in it's. Don't use commas in the place of periods. And most of all, Kavin, learn the difference between a paragraph and a blog post. None of my posts are only a paragraph long! Brussels? BRUSSELS?? That comment was left on my post "The Superfluous Apostrophe." Feel free to pop on over there, and let me know if you can figure out what in the world "brussels" is all about. For that matter, what are any of these things about? Very funny! I have been Planing a post on this subject with a similar spin, guess i'llskip it now. Oh, I'm sure there's enough bad spam to go around. Feel free. They are starting to spam my instagram account, and that is really annoying. Ugh. That would be annoying! Like most bloggers, I get these all the time. At first I tried to figure out what they were trying to say. Once I realized that they were just spam I started deleting them. I do wonder if someone in some foreign country is actually getting paid to post these comments. Surely no one actually thinks they're effective. They most be somewhat effective or they'd quit doing it. I think maybe they need to be slapped upside the head with a can of...SPAM! This was a funny post on a truly annoying subject. I am so amused by spam, too! It seems like the comments might be written in another language and then run through one of those online translators. Or written by robots. Sometimes I use the Bing translator on Facebook to translate my cousin in Germany and it always ends up sounding like he speaks in a haiku format. Also? 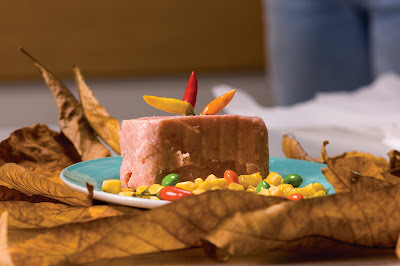 I wish that online spam wouldn't give the food spam such a bad rap. It sure is tasty. Yep. I like it too. 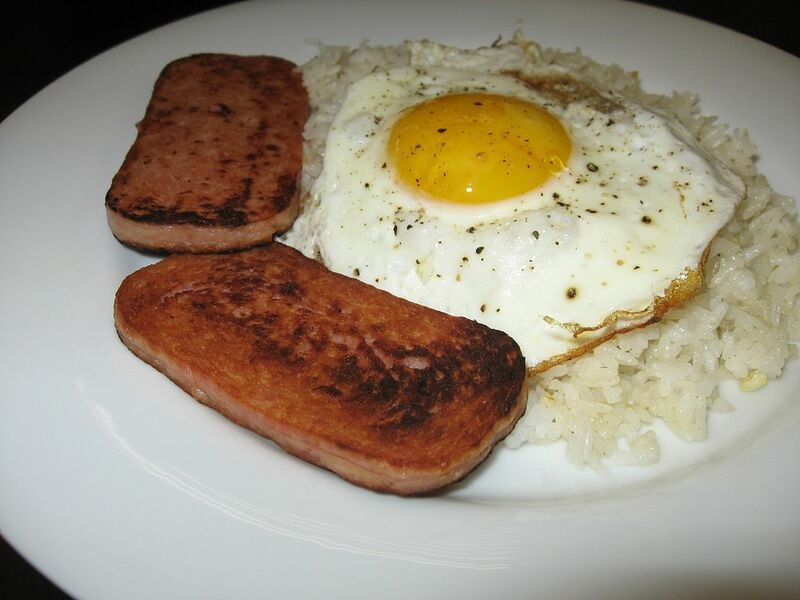 If only we could gather up all the spam comments, and fry them up with a couple of eggs on the side! Next on the menu: retweet hash! Oh, Mighty Wicked English Teacher: could you possibly discuss your opinion on cannot vs. can not? :-) We have a rather warm argument about this in our office! Sure thing,Trish. I'll get to it today or tomorrow. Good topic. How about each other vs. eachother, too? Surely, one must be wrong! That's easy Trish. It's two words. I've never even seen anyone write it as one word. Ha ha! Great post! For one thing, I'm also a grammar junkie, and although I try not to be annoying about it... I always WANT to be. I WANT to correct every little mistake I see with a bright pink pen. Thanks for writing with such grammatical proficiency! And humour, of course. The antidote to so much of the internet. Ha! Because I adore irony, you are welcome to spam my site any time you wish! Thanks for coming by!